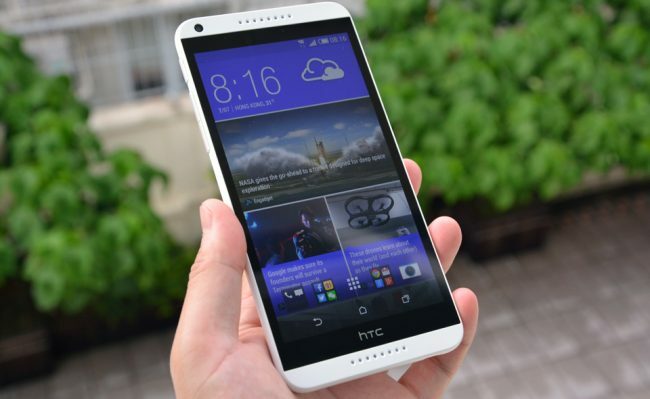 HTC Desire 816 brings you the word’s most bright and sharp photos. With its 13 Mega Pixel rear camera featured with BSI sensor you can take the most bright and colorful pictures and can record amazingly HD video at 1080p video recording. Take sharp selfies and make capture the world in your 5 Mega Pixel front facing camera and make enhance video chatting with friends and loved ones. HTC Desire 816 features an eye-catching body design and owns a unique body dimension of around 156.6 mm in length, 78.7 mm in height and up to 7.9 mm slim (depth) with a light weight of 165g only. A beautiful 5.5 inch HD display with at 720p make you pictures more gleaming and interesting. HTC Desire 816 has powered by the most modern Qualcomm Snapdragon 400, Quad-Core processor with up to 1.6 GHz bursting speed which gives your Smartphone a boosting fast speed. It is energized with the world’s most popular operating system of Android with HTC Sense, offers you the incredibly fast swapping between apps. HTC Desire Smartphone 816 has an immense storage for your entertainment. An 8 GB internal storage option is best for you, with such a huge memory you can make your own library and bulk a lot of songs, videos and games with a 128 GB MicroSD card support. Enjoy the waffle-free video playbacks and smooth web browsing with the lightning fast 1.5 GB RAM. A powerful 2600mAh battery ensures 21 hours of 3G talk time and 737 hours of standby.